While the Overwatch community may focus on a set list of countries – the United States, South Korea, China, and Finland, for instance – dozens of players from dozens of nations around the world make up the fabric of the competitive scene. Portugal is one such nation, and while its national player base might be less notable to some than those of larger countries, there are still some great players to be found there. 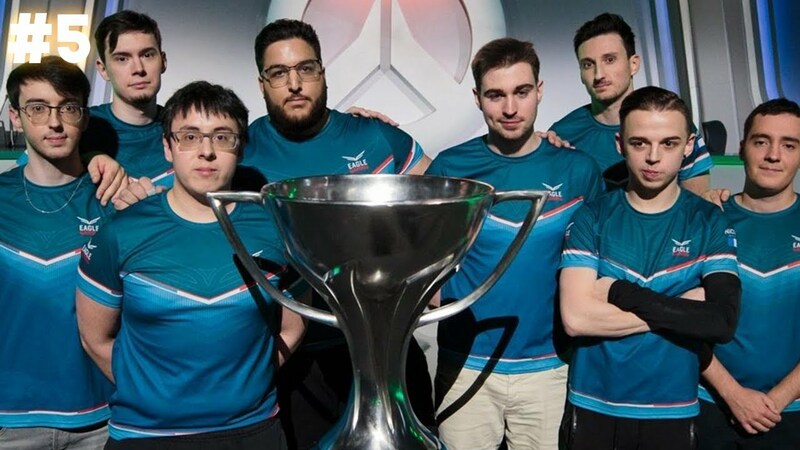 One of those players is Alexandre “Phatt” Silva, support specialist for EU Contenders team One.PoinT. His journey in Overwatch started (and often returns to) his home country, and he’s determined to make his nation proud on the global stage. I sat down with him to discuss his story – where he’s come from, and where he’s headed next. Let’s start by having you introduce yourself! Who are you, and what’s your story? Hey! I go by Phatt in the gaming world. I’m 20 years old and I’m currently playing for One.PoinT in Contenders EU. Before Overwatch, I was a casual gamer like everyone else. I’ve played every type of game, from MOBAs to FPS and survival games. I first heard about Overwatch in one of its open betas, and decided to play it. I loved the game and it looked promising esports-wise, so I gave it a try in terms of going pro. My journey started in Portugal and went from team to team. 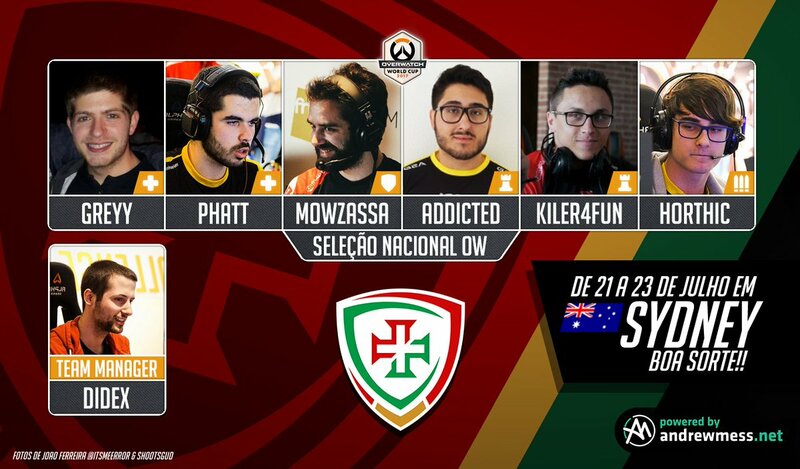 In 2017, most remarkably, I made it to Team Portugal to compete in the World Cup 2017 Sydney Group Stage. After that, I started my adventure in European Overwatch. First I played with Mosaic Esports, but sadly I got kicked out before the team was announced. I started trialing for some teams and made it to a roster that was yet again unannounced – the roster was Ellivote, Erki and ONIGOD, who are now part of Angry Titans, as well as Nerfdd and Rubikon. We were doing very good, beating most top EU teams at that time and even going against Philadelphia Fusion’s EU squad. This team disbanded and I joined Portal Gaming with Nerfdd. After that I created One.PoinT with Horthic, and here we are. So you played for Team Portugal, and since then have gone back and forth between a few teams, including One.PoinT. Why all the back and forth? So after the World Cup, I decided to play in European teams, but in Portugal we have our competitions too. We have tournaments and even a league, and I’ve always played with the Portuguese teams there. I like to get involved so I’d get a team together, play in those games, and then be back. So I’ve talked with Curryshot, and he made a comment that he thinks EU is “ahead” in the meta right now. Do you agree? Yeah, 100% I do. European players have been playing tank comps for a year, a year and a half by now. EU has always had a different meta, and we’ve been playing tanks for a long time. NA players have always made fun of us for playing tanks, since it was supposedly easier, but now we’re ahead, they need to accept that GOATS is a thing. Some of them are in denial, trying to show some flexibility, and that doesn’t work. You just have to play tanks. I’ve noticed that a few teams – especially in North America – will still try and play things like dive or Pharah/Mercy instead of GOATS. Why do you think they still do that? What’s stopping them from understanding that GOATS is just what you have to be playing right now? So I’ve always said this – in Europe, we had Eagle Gaming spamming tanks as far back as a year ago now, or more. If there was an Eagle Gaming in NA, they would have been playing tanks for a long time now. Like, sure, they had GOATS (the team) but with all due respect, they weren’t as good as Eagle – they didn’t understand the game as much as Eagle did. Eagle Gaming could win against any comp with tanks. So if an equivalent team had existed in NA for as long as Eagle had existed in EU, they would be playing tanks too – or they would lose it all. The main reason NA hasn’t played tanks is because they never had a team that could show them the true power of tanks. That’s why they’ve only been playing dive until now. So you play a lot of support. If you could play any other role, in any meta, who would you want to play as? Hmm… probably off-tank. I like to play D.Va and Zarya, because there’s still that supporting aspect when you Matrix your allies or shield them as Zarya. I really like that. When I play those heroes on alt accounts, I like it a lot, because I’m always looking behind me so I can make some clutch saves. That’s just my instinct, helping my team as a support player. It’s muscle memory. What impact do you think Ashe is going to have on the meta as it stands, if any at all? I would say BOB is going to be really good against GOATS, but the main problem is getting your ultimate. When you look at GOATS, and you see a Reinhardt shield, a Defense Matrix, and tanks in general running at you and getting in your face. You won’t really be able to do anything as Ashe – you farm your ult most effectively by throwing the dynamite at the tanks, but any good D.Va will be eating all of your dynamites with Defense Matrix. So every two or three fights you’ll have BOB, but it’ll be too late. You might win those fights, but that’s it. So I don’t think things will change too much if we stick with GOATS. Who’s a player that you look up to? Anyone whose play style you’ve tried to replicate? The player that I’ve looked up to the most would have to be Masaa from Team Gigantti, who now plays for Atlanta. That guy was just insane. In my opinion, there are two different styles of Lucio – the ones who are insanely good mechanically, and the ones who are very smart. Masaa was a mix of both. He’s just really, really good, so I’ve always looked up to him. I’d also say Luddee from Angry Titans, and FunnyAstro. Of all the teams in EU Contenders, who do you think will be One.PoinT’s greatest challenger? Who’s going to give you your biggest fight? I would say our match against Orgless & Hungry was worth considering. They play a lot of things that are considered out of the box, so on game day you never know what might happen. Those types of plays can be tricky to deal with. Otherwise I’d say Angry Titans. Even over these powerhouse teams that everyone thinks will be really good, like Samsung or Gigantti? I was thinking mainly within our group for the regular season – but in either group, I’d probably say Samsung, yeah. They’re looking really strong. Gigantti too, though – they lost to Samsung, but as they’ve mentioned, they didn’t have much practice at the time. I think with more practice, that team can be really scary. If you could do a show match, One.PoinT vs any Contenders team in the world – which team would you want to run a show match against? Fusion University, probably. They’re back to back champions, but I’m pretty sure we could beat them, like British Hurricane did back in Season 1. I just want to try and beat them again with tanks, and make them realize that tanks are just the better play. Do you have to balance any other things alongside trying to go pro? Do you have a job, or are you going to school right now? Thankfully no. I finished my studies a few years ago and after that my parents accepted my idea of trying to go pro in Overwatch and since then they have been supporting me, I appreciate them a lot for that. Why do you think EU was so largely overlooked as a region this off-season? I think we were overlooked because no one respected tanks and it’s power. Everyone thought we played it because it’s easier and therefore we are worse players, and now we are proving people wrong. What message would you send to OWL scouts that are maybe on the fence about considering EU talent for their teams? We are here playing everyday with barely any organizations investing in our region and still don’t give up. Most of us don’t get paid and still give everything everyday. Take that in consideration when you look at EU. What message would you send to fans who have been watching you play? My fans have been amazing at supporting me! I read every message in twitch chat when watching the game back and it’s really comforting to see that people actually notice and support me, so keep it up!